AND I added LED stripe in section where the fog lights are. 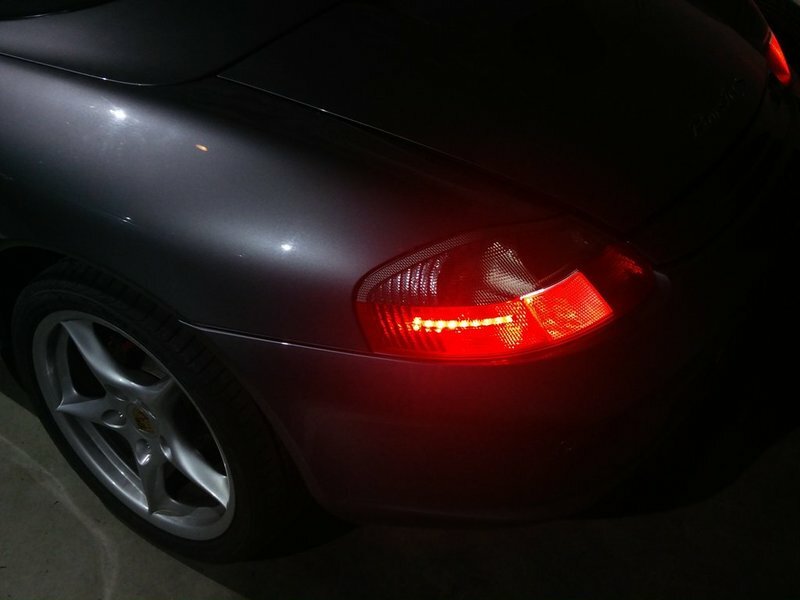 They work as normal position lights, together with normal one in the middle, also Fog lights works normally, Bulbs are behind the stripes. I can provide details, if someone interested it was cheap and not so complicated project. stripes are installed on aluminium shaped carrier. 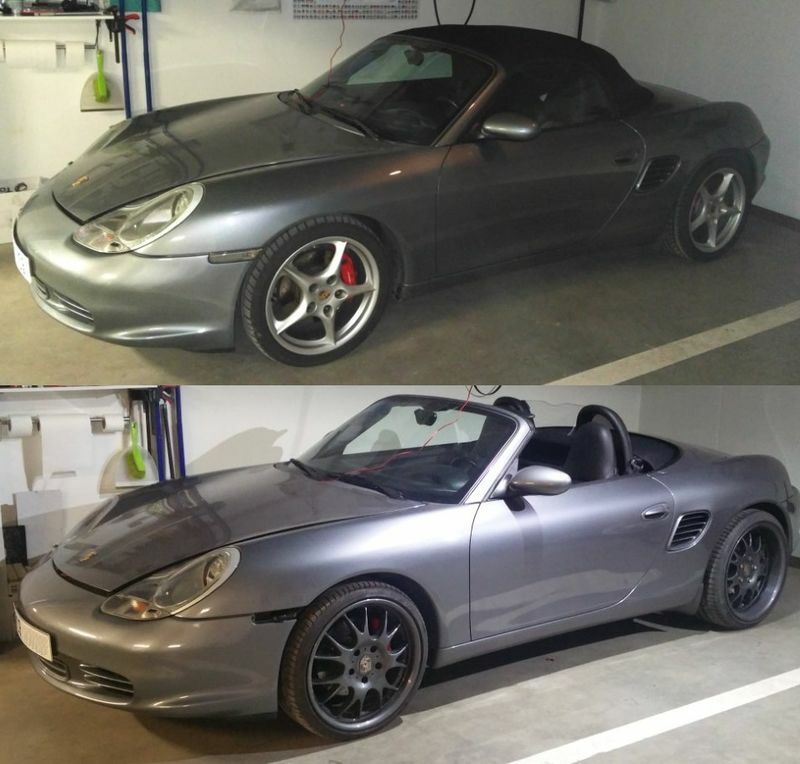 I also got new set of wheels from one Boxster which I re-sold, new owner did not wanted them. 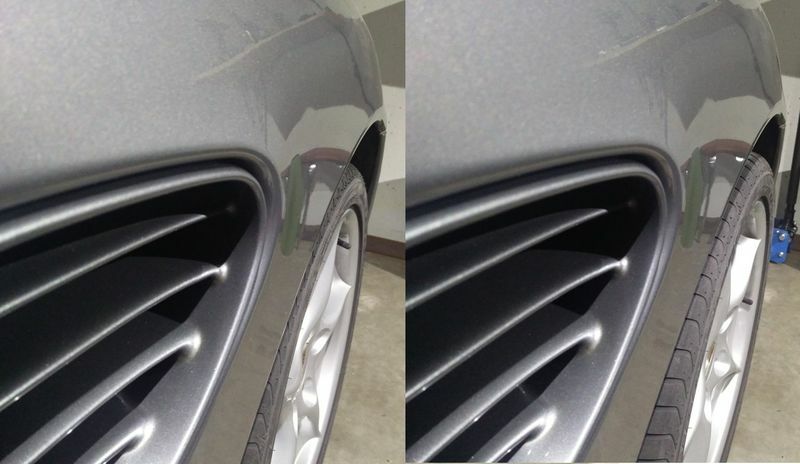 Its 19 inch, I think they look good with car and colour combination. And for now last,..... wheel spacers, for rear wheels, 15mm. Picture shows diferences with and without. For front wheels I decided for 10 mm but I do not have them yet. Love the wheels. Great color combo in my opinion. Post another pic when you have the spacers all around. Nice looking work. 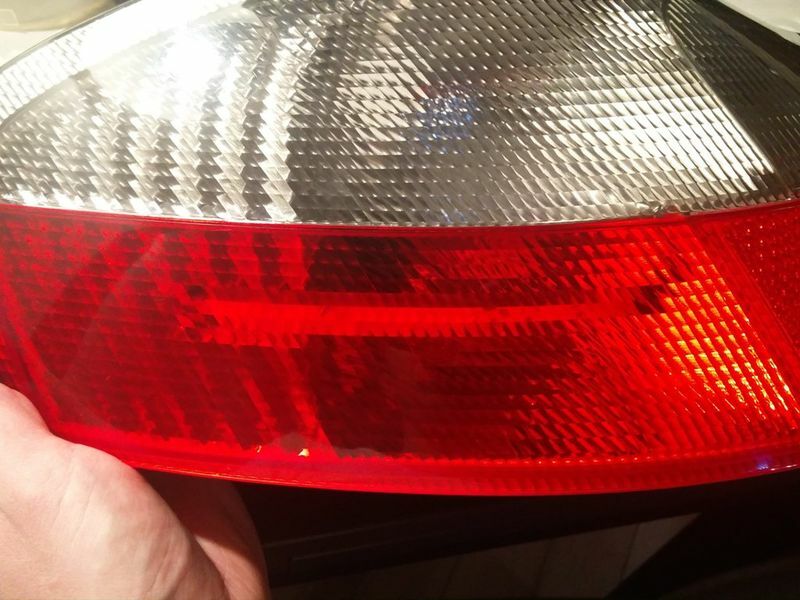 Can you post the part number for the LED Bulbs you used? I did my tag lamp already with led and have a led kit for the inside on the way be nice to hit the external bulbs. Which wheels are they? they look great!